Two years ago I had the opportunity to cycle along the Danube River. 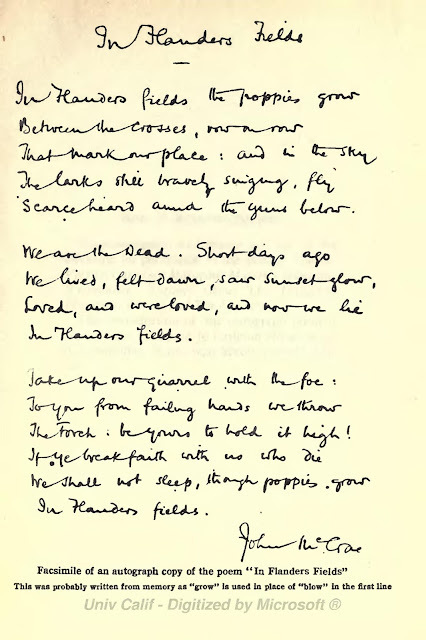 to my mind, to stop and reflect on the poem of John McCrae. 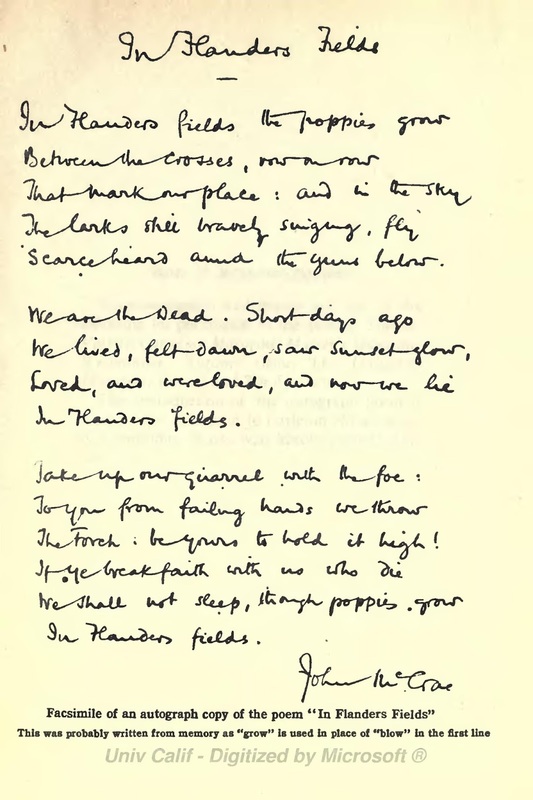 He wrote, what became the most famous Canadian Poem of the First World War, 1915. Being a doctor, he knew and saw the pain first hand, at the battle field. and how much has or hasn't changed. I can still hear the echo of their voices as they recited this special poem. Let's just take a moment to stop, reflect and pause in silence of those who have gone ahead. Lest We Forget. Such a beautiful post. It is such a Part of Remembrance and Remembrance day...Thank you for posting it. This is a wonderful, respectful and beautiful post Marg! The picture of the poppies growing along the roadside is so lovely. I really like the M.C.C. buttons too that say, "To Remember is to Work for Peace"!! I printed this poem yesterday on facebook. I love this poem, thanks for sharing.